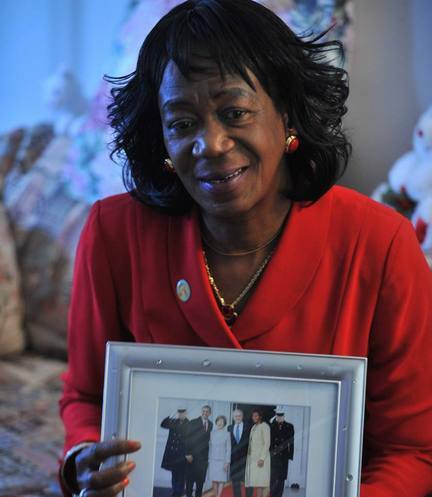 Zeituni Onyango, President Barack Obama’s aunt who stayed in the US illegally for years, died Tuesday at age 61. Zeituni Onyango had been treated in recent months for cancer and respiratory problems, Cleveland attorney Margaret Wong said. She died in a Boston rehabilitation center, said Margaret Wong, who represented her in her immigration case. Zeituni Onyango, a half-sister of Barack Obama’s late father, moved from Kenya to the US in 2000 and was denied asylum by an immigration judge in 2004. She remained in the country illegally, living in Boston public housing. She finally was granted asylum in 2010 by a judge who said she could be in danger if she returned to Kenya because of her relationship with Barack Obama. Zeituni Onyango was born in Kenya in May 1952 under a mango tree and was delivered by a midwife, Margaret Wong said. She raised a family in Kenya and worked in the computer department of Kenya Breweries, she said. “She was an awesome, funny, shrewd, smart lady born at the wrong place at the wrong time,” Margaret Wong said. Margaret Wong said Zeituni Onyango had become ill in January and died early Tuesday morning in her sleep. The White House, which had no immediate reaction to Zeituni Onyango’s death on Tuesday, had said previously that Barack Obama did not intervene in her immigration case. Barack Obama, in his memoir Dreams from My Father: A Story of Race and Inheritance, affectionately referred to Zeituni Onyango as Auntie Zeituni and described meeting her during his 1988 trip to Kenya. Zeituni Onyanogo helped care for his half-brothers and sister while living with his father, Barack Obama Sr., in Kenya.